Which do you like? The Dracula makeup or the Zombie makeup above? Is he better with the Dracula teeth or without it? 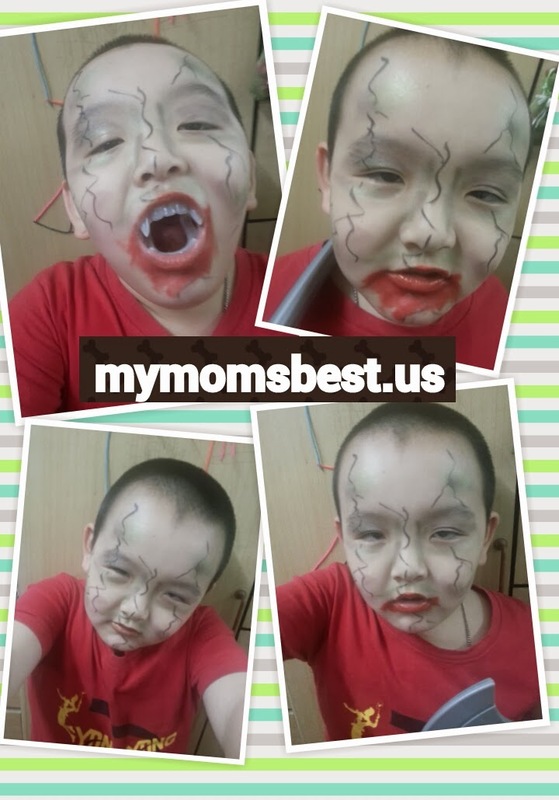 Son having fun with the makeup and posing for me to snap picture. I am just testing out which makeup is suitable for him. Due to timing, I am hoping can try out other makeup on him this week. Dear was back late when he saw him in zombie makeup and he said give him the Dracula teeth. Do you have plan on this Halloween?